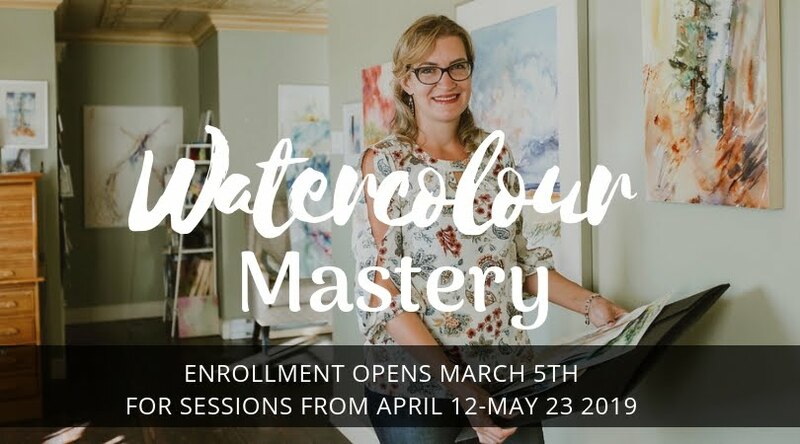 I am a very impatient person, and because of that, watercolor is my main choice of medium. I also know that my style is minimalistic, I don't want or need all the extra doodads I love the simple lines, and textures that I am able to create. 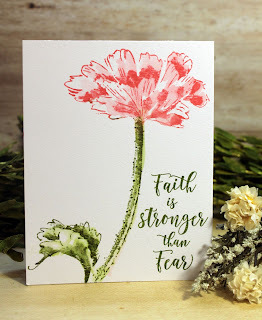 I am always looking for that just right floral stamp with a simple sentiment to make for a close friend or family member. I thought I would share some of my insights and techniques. 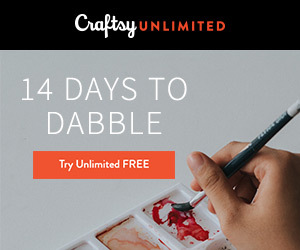 With links to help you learn that technique. 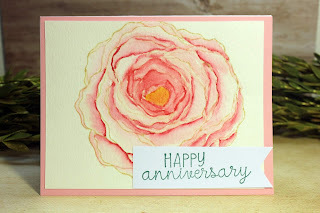 The big bloom rose stamp from Taylored Expressions is one of my go-to floral stamps. Here (above and lower picture,) has so many uses, I am showing two composition ideas. The stamp is the main focus, so I tried to keep it simple, letting the line work be the main art. Taylored Expressions Big Bloom Rose. 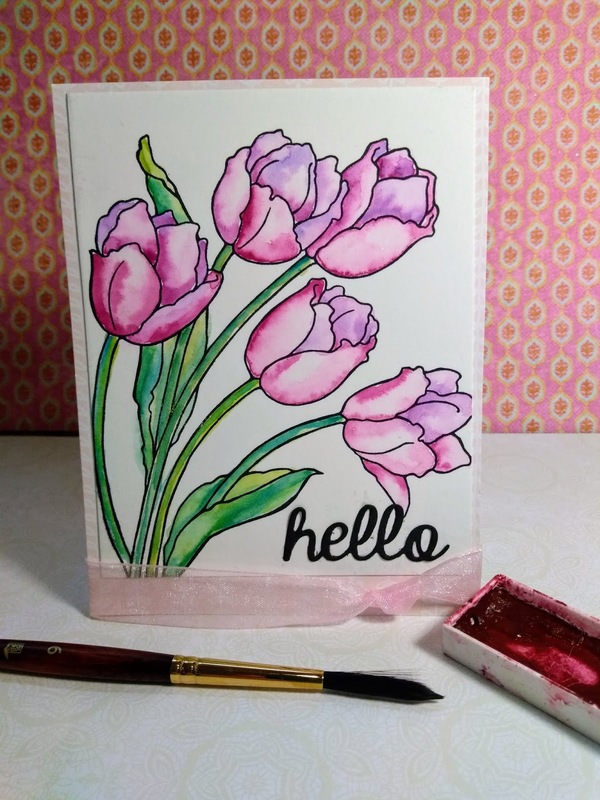 used watercolor paper with watercolor brush markers to add the tone and value, to get the color to blend I used a water brush. 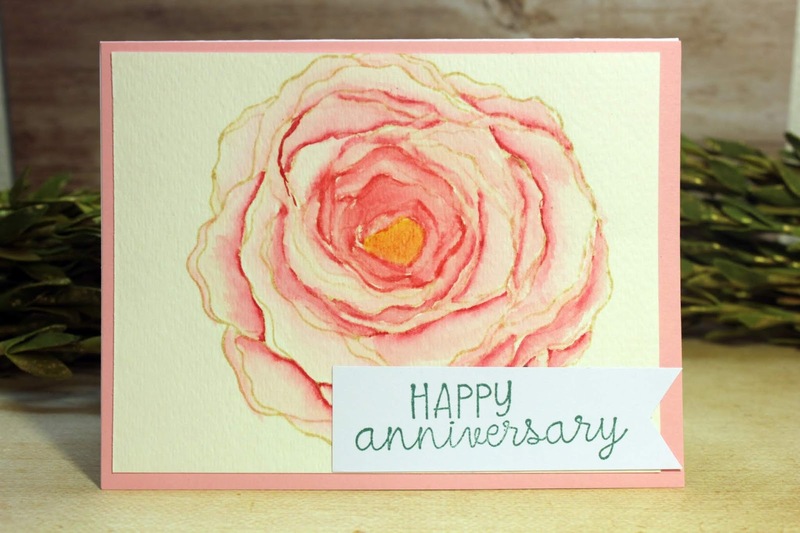 Added a sentiment from Taylored Expressions to polish up the card. What is it about line stamps that I love, It's so open-ended... 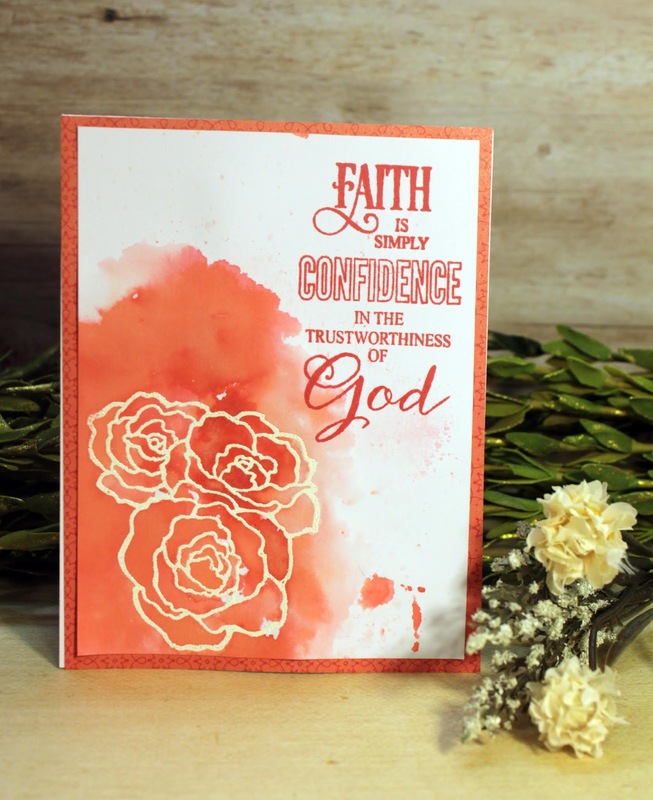 This is a simple card that really could be done in multiple times really fast and easy and you can make multiple panels and come back and add a sentiment for when you need a card for the right occasion. I used embossing powder and heat set it to resist the ink/or watercolor. It really was super easy. I made like 5 panels with this simple stamp from Stampendous. Then I used the smoosh technique to add some color, keeping a careful eye where the ink is at. 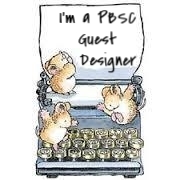 Then added a sentiment, This card works because of the rules of thirds and compositionally it's pleasing to the eye. 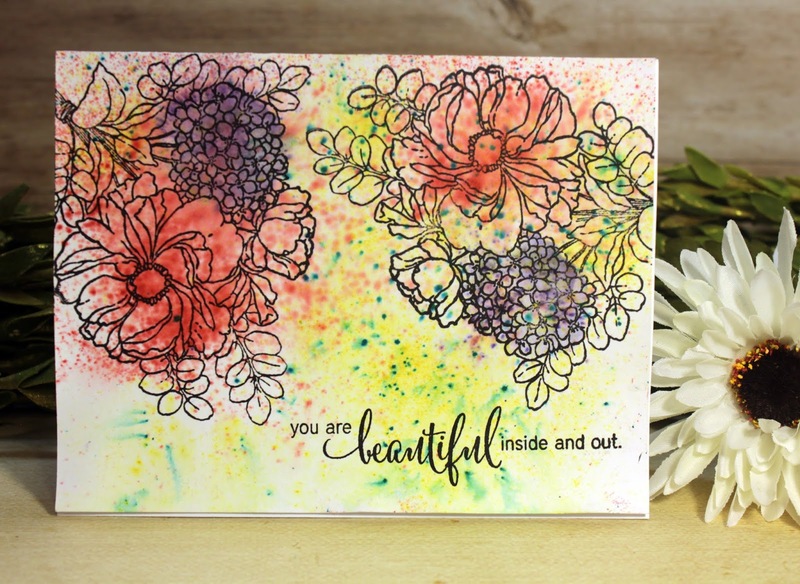 This Flower is a Penny Black Brush stroke stamp, It's such a fun stamp to use! Here is my tutorial on this. Brushos are great for 5 min. watercolor. 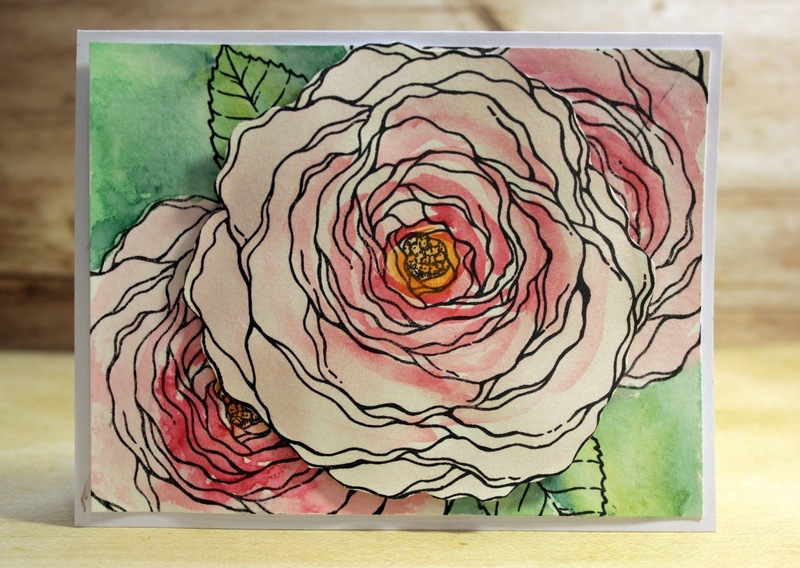 Seriously, if you know your color theory, (working light to dark, primary colors first to secondary colors then this can become an easy card to make. 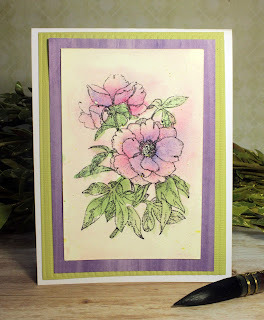 I used a Penny Black stamp for this floral card, but any good line drawing of a stamp would work. My last 5-minute card was a simple wet into wet technique. Or WOW! you wet one pedal at a time and then dab in some paint and watch the paint wosh across the wet area. It's a fun process to watch. A bit delicate to do but the wow factor is there! The nice thing about this cad is I didn't use that many colors and you can get a lot of different hues. 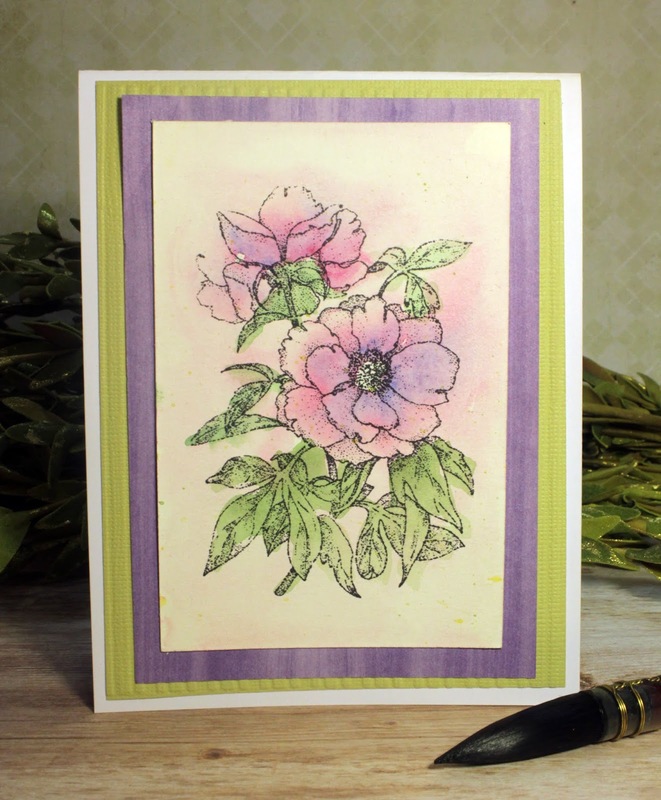 This is a Stampedous stamp that works for so many spring occasions! 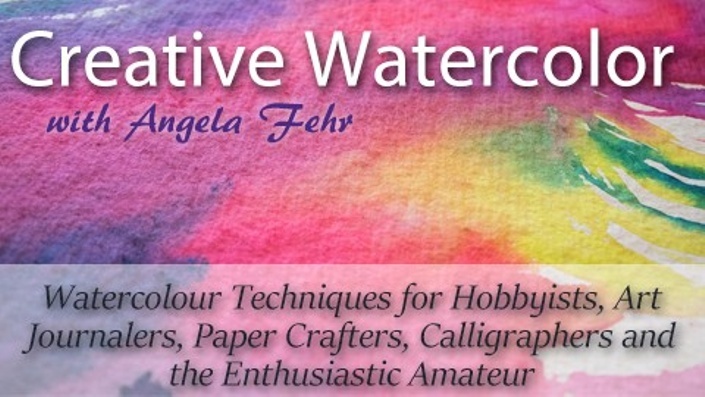 One of my favorite watercolor card class! 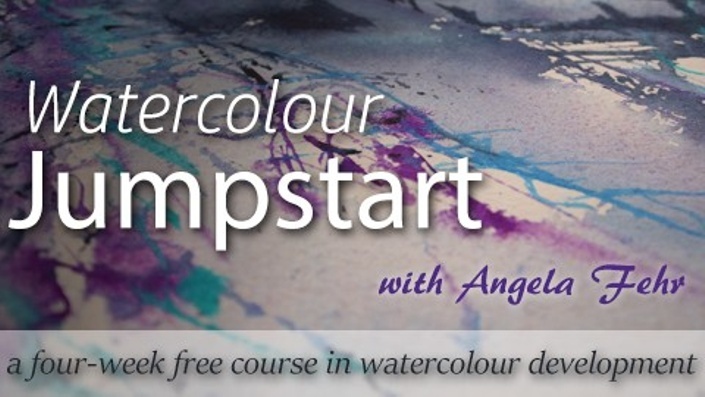 One of the best free watercolor classes online- I loved it! I love your loose quick watercolors and the scripture sentiments. 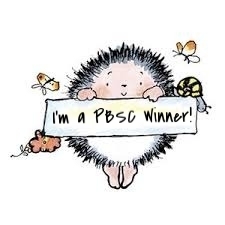 Can you share the source of the sentiment stamps?